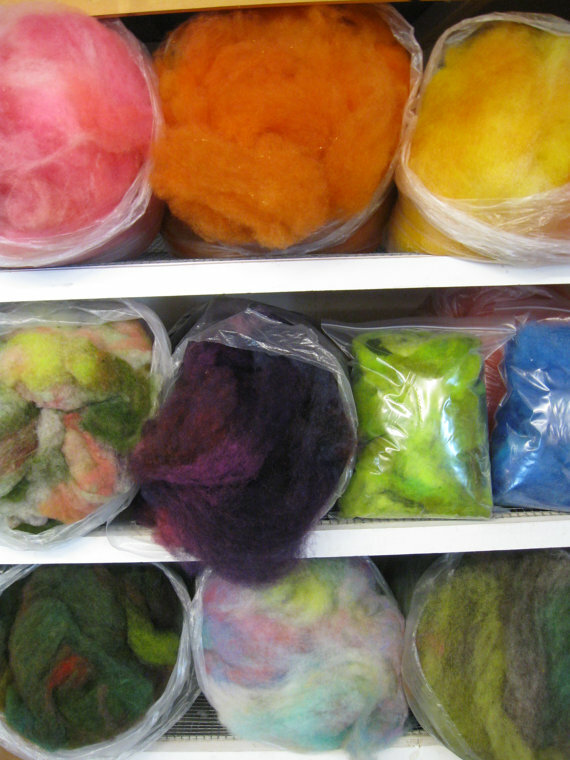 BFL, kid mohair & alpaca washed, dyed and carded together ready for you to spin (or felt) into an artistic creation. 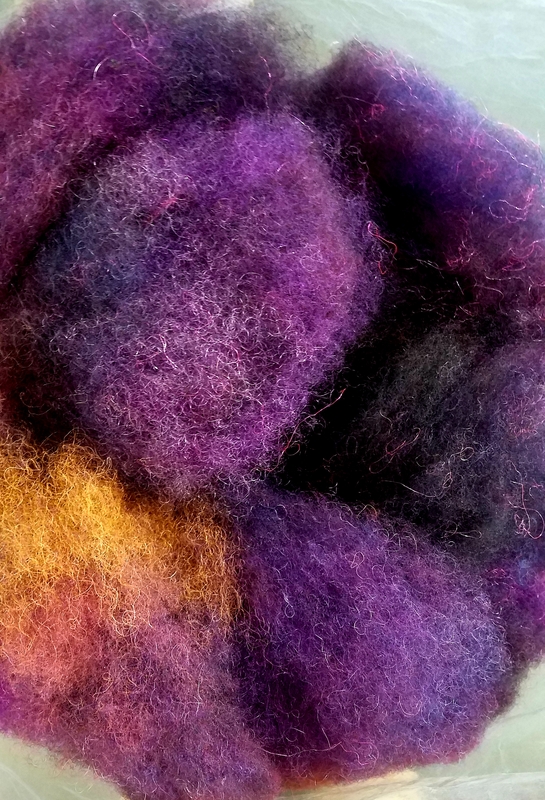 Purple passion is a violet/blue blend of fibers carded together for hand spinners and felters. The photos of the color blend were taken in natural light/sunshine. This 4 ounce bag of fiber is ready to ship. 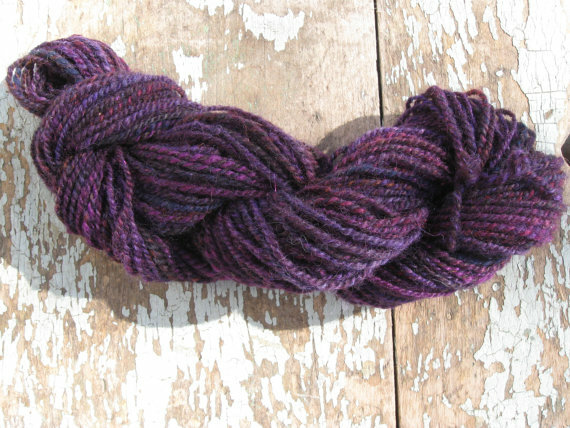 There is also a photo of yarn spun from this purple passion blend which is not part of this sale. Please feel free to contact me with questions or custom orders.